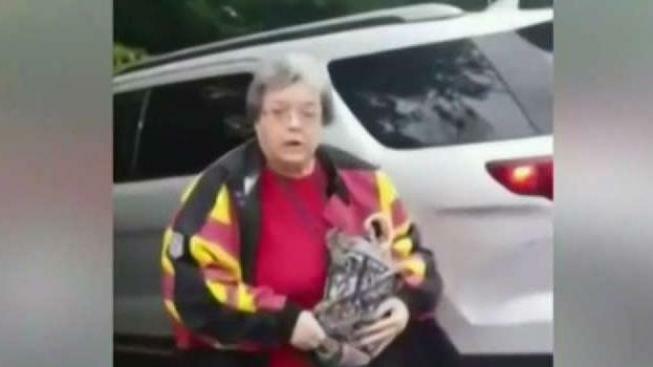 A public school librarian in Prince George's County has retired after a viral video showed her admitting to yelling a racial slur at an African-American man in a Walmart parking lot. Dawn Tolson-Hightower posted a video on Facebook in which she asks the white woman, "Did you just call my husband the N word?" The woman responds, "Yeah, I did." Outage grew on social media after people learned the white woman in the video worked at Potomac Landing Elementary School in Fort Washington. 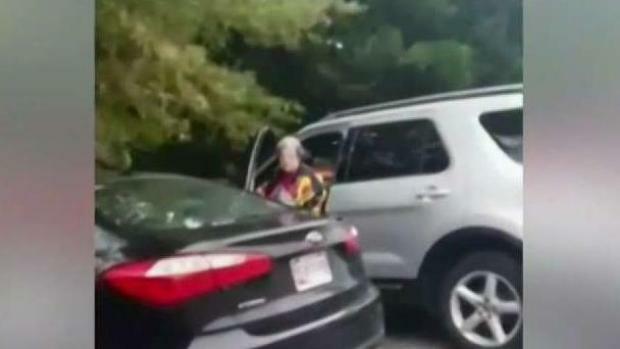 A public school librarian for Prince George's County is accused of using a racial slur during a parking lot incident. News4's Tracee Wilkins reports. "Obviously I was not happy to see the video and know that that was one of our Prince George's County public school employees," interim CEO Monica Goldson said. She pointed out that the school is 90 percent students of color. Goldson says she is working with labor unions to provide each school system employee with bias training. The school system reassigned the librarian before Tuesday when News4 learned of her retirement. The school is still investigating the confrontation. Tolson-Hightower said the incident happened while she and her children were in the car with her husband in a Walmart parking lot in Charles County. "For a moment, I was in complete shock and I was, like, did she just really say what I think she said?" Tolson-Hightower told News4. "My daughter loves the library, and to have someone like that working the library, that's crazy," Potomac Landing Elementary parent Marqui Evans told News4. The librarian is expected to receive her full state benefits.